There is no denying that it’s an exciting time to build in Boston. From daring new constructions to period-piece worthy historic renovations to soaring sky-high condos, every Boston neighborhood has its own flair and personality. We bring you slices of the city’s finest, each project reflective of its enclave’s unique character. 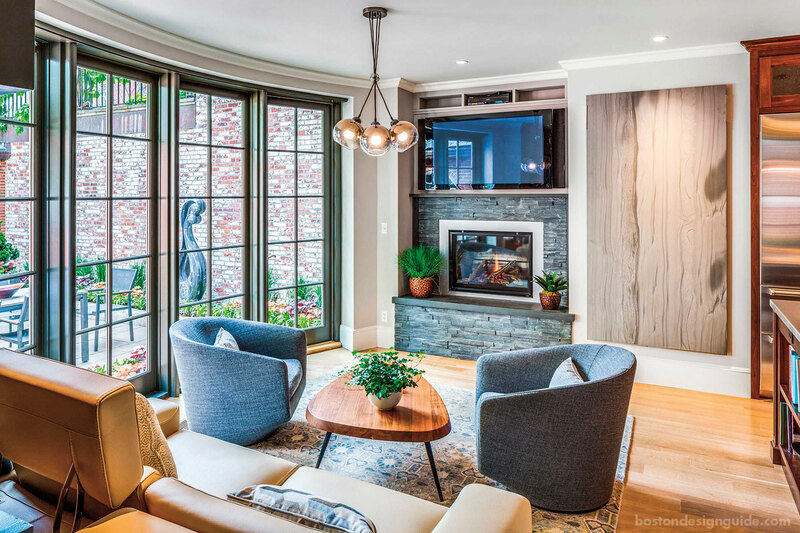 A Beacon Hill residence by Columbia Contracting Corp. has all of the character of the locale it calls home; it is intimate and neighborly with a strong connection to its garden courtyard. 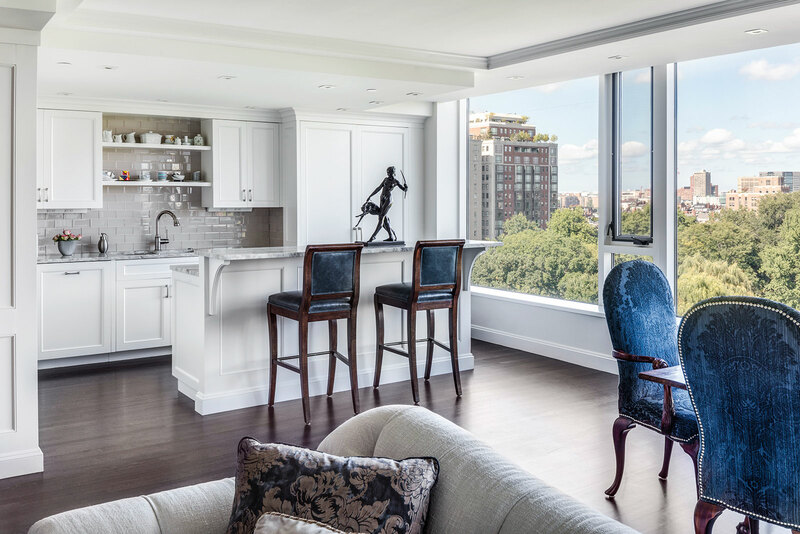 Pristine and inspired, this Back Bay pied-a-terre by F.H. 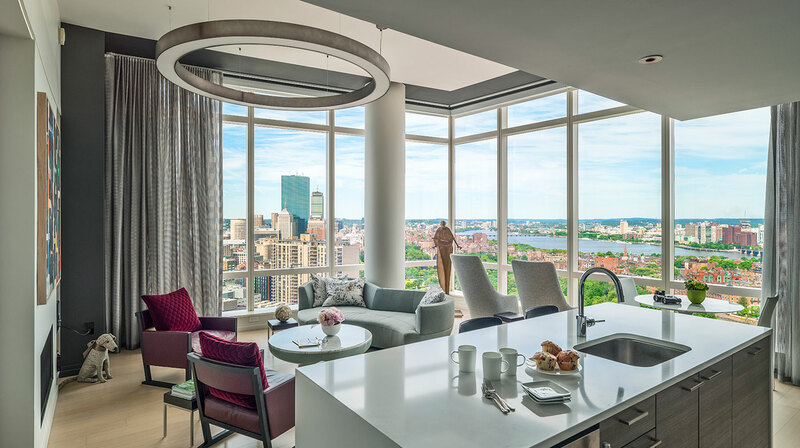 Perry Builder features spectacular views of the Public Garden and Boston Common and spotlights the residents’ art collection. 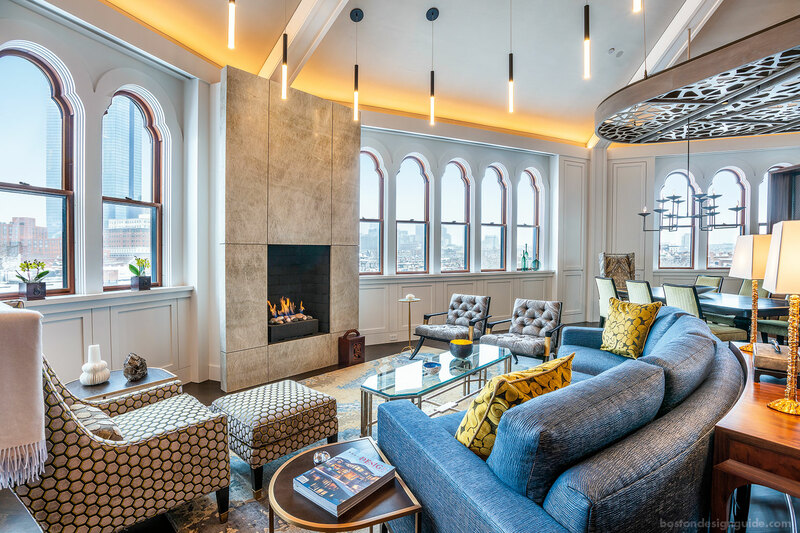 A South End corner unit renovated by Kistler & Knapp Builders is thoroughly charming and impossibly hip, thanks to its parade of windows and traditional detailing juxtaposed with of-the-moment lighting, metalwork and furnishings. 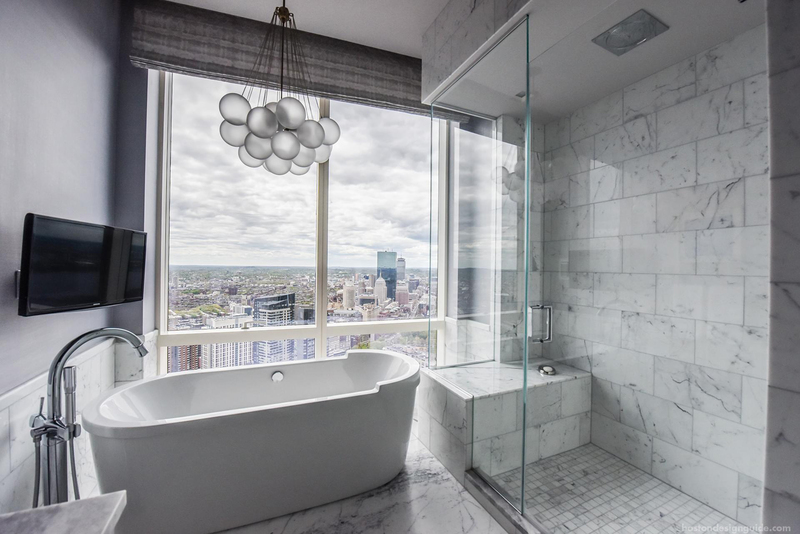 A vision in marble and glass, this luxe master bath by Sleeping Dog Properties, Inc. at the Millennium Tower in Downtown Crossing has a five-star vantage and the city at its feet. Interior Design: Elms Interior Design; photo by Sleeping Dogs Properties, Inc.
A swanky bachelor pad by I-Kanda Architects mirrors the industrial vibe of the Seaport District it inhabits. 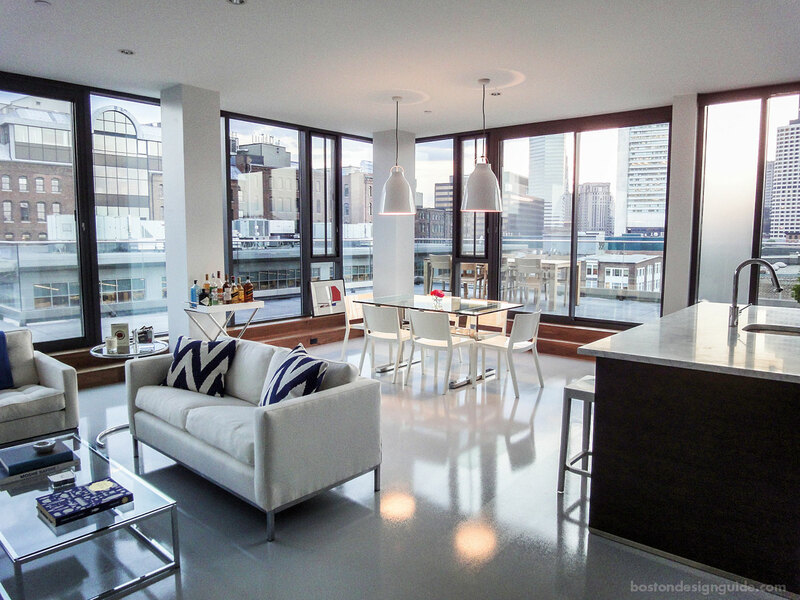 The loft-style home is progressive and unconventional, and has wraparound views of the Boston skyline.